By Keith Cowing on February 28, 2015 1:02 PM. "International Space Station astronaut Terry Virts (@AstroTerry) tweeted this image of a Vulcan hand salute from orbit as a tribute to actor Leonard Nimoy, who died on Friday, Feb. 27, 2015." "Leonard Nimoy was an inspiration to multiple generations of engineers, scientists, astronauts, and other space explorers. As Mr. Spock, he made science and technology important to the story, while never failing to show, by example, that it is the people around us who matter most. NASA was fortunate to have him as a friend and a colleague." "I loved Spock. In 2007, I had the chance to meet Leonard in person. It was only logical to greet him with the Vulcan salute, the universal sign for "Live long and prosper." And after 83 years on this planet - and on his visits to many others - it's clear Leonard Nimoy did just that." @KeithCowing True story... RIP, Mr Spock. Who Has More Relevant Capsule Expertise? By Keith Cowing on February 27, 2015 11:04 AM. By Keith Cowing on February 27, 2015 8:46 AM. "The Russian space agency Roscosmos says it will support U.S. plans to keep the International Space Station (ISS) operating through 2024, but then wants to split off three still-to-be launched modules to form a new, independent orbital outpost. The announcement this week by a senior planning board reverses previous statements by Russian officials that Russia would end involvement in the 15-nation program in 2020 when current agreements expire. Despite occasional rhetoric, the Russian-U.S. space marriage has been largely left out of growing economic and political tensions stemming from Russia's invasion of Ukraine's Crimea peninsula last year." Keith's note: This is not a bad thing. And I am not talking about no longer having to deal with Russia since we'll certainly find a way to find ourselves in a political spat with someone else on Earth after they leave the ISS. Rather, it shows how assets in space can be repurposed, refurbished -- re-imagined. Instead of throwing things away in orbit (Skylab, Salyuts, Mir) we can now build upon these assets and move them around like Lego bricks to form new things as we need them - and then do this again and again. When the government is done with their hardware, it can be used by someone else - just like old military bases can become movie studios and shopping malls. The more orbital capacity that is available, the more customers it can collectively and individually serve. The more valuable these on-orbit assets become for government and non-government uses, the more everyone will want to safeguard that growing capacity (and isolate it from terrestrial squabbles) as has been the case with ISS recently. By Keith Cowing on February 27, 2015 8:44 AM. "Perhaps the most ambitious part of the ASD agenda is a proposed "Cheap Access to Space Act" that would offer $3.5 billion in government prizes for the development of reusable launch vehicles. Those prizes include, in a draft version of the bill provided by ASD, $1 billion to the first fully reusable vehicle that can place at least one metric ton into orbit and fly again a week later." Keith's note: Yet another space group comprised of the usual suspects. Yet another request by a space group for the government to give them billions in handouts. Sigh. This is getting old. These groups keep proposing the same old same old - under new names each time. By Keith Cowing on February 25, 2015 6:52 PM. Keith's note: NASA Ames Research Center Director Pete Worden will announce this afternoon that he is leaving NASA at the end of March. "On Wednesday, Feb. 25, I informed NASA Administrator Bolden that I have decided to retire from federal service and pursue some long-held dreams in the private sector." "Earlier today, Pete Worden notified me of his decision to retire as Director of NASA's Ames Research Center. After more than four decades of dedicated public service, Pete said it was time to pursue other opportunities. He is an innovative leader, and a tireless advocate for change who has well-positioned Ames and its people for the future exploration opportunities facing this agency." By Keith Cowing on February 25, 2015 10:51 AM. "As we reported in August 2013, even after the SLS and Orion are fully developed and ready to transport crew NASA will continue to face significant challenges concerning the long-term sustainability of its human exploration program. For example, unless NASA begins a program to develop landers and surface systems its astronauts will be limited to orbital missions of Mars. Given the time and money necessary to develop these systems, it is unlikely that NASA would be able to conduct any manned surface exploration missions until the late 2030s at the earliest." By Keith Cowing on February 24, 2015 10:42 AM. Keith's note: Sonja Alexander Maclin has passed away. Sonja was always the nicest person I talked to at NASA Headquarters - on any topic. Continue reading Sonja Alexander Maclin. By Keith Cowing on February 24, 2015 9:59 AM. Keith's note: Dava Newman was chosen as the nominee for NASA Deputy Administrator 4 months ago in October 2014. We have heard nothing since then. Dava Newman has yet to testify before the Senate (and get their approval) so it is unclear when she will be formally confirmed. With impending food fights in the Republican-led Congress, such routine things as nominations may be stalled - or (worse) may become opportunities to score partisan points agains the Administration - with the nominee taking the brunt of the negative energy. Stay Tuned. "The U.S. Senate Committee on Commerce, Science, and Transportation will hold an executive session on Thursday, February 26, 2015, at 10:00 a.m. to consider legislation and nominations." Keith's update: Six significant nominations are on the agenda. No mention of Dava Newman as Deputy Administrator of NASA. By Keith Cowing on February 23, 2015 6:02 PM. "Fundamentally, ARM is two good ideas kluged together into one bewildering idea that NASA itself seems unable to explain effectively. NASA Administrator Charlie Bolden's hand-picked advisers on the NASA Advisory Council have debated the problem in recent meetings. The council's question basically is -- how does moving a rock from one place in the solar system to another get us to Mars? ARM involves developing high-power solar electric propulsion (SEP). Good idea. It has many uses in Earth orbit and deep space, including support of human exploration of Mars. ARM involves sending astronauts to cis-lunar space (between the Earth and the Moon) for up to three weeks at a time. Good idea. Breaking the umbilical cord to Earth is a necessary step to Mars. ARM involves moving an asteroid to lunar orbit. Huh?" By Keith Cowing on February 23, 2015 3:50 PM. "NASA Administrator Charles Bolden has named Steve Jurczyk as the agency's Associate Administrator for the Space Technology Mission Directorate, effective Monday, March 2. The directorate is responsible for innovating, developing, testing and flying hardware for use on future NASA missions. Jurczyk has served as Center Director at NASA's Langley Research Center in Hampton, Virginia, since April of 2014." By Keith Cowing on February 23, 2015 1:11 PM. Keith's note: Wow, the space advocacy community has been rather fertile this past week spawning not one but two new organizations - all of this on the heels of a anonymous meeting of the usual space advocacy suspects. 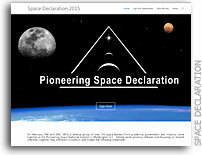 This newest anonymous group is called "Pioneering Space Declaration" (spacedeclaration.org). No press release has been issued. Instead this group just appeared out of nowhere. It seems to have been spawned by Rick Tumilinson's Pioneering Space Summit last week and has a nifty Illuminati-style logo. They want you to sign their two sentence "declaration" but they do not list a single human name to signify who is actually behind this latest organization. Nor do they tell you what they will do with your name and contact information. But they do show lots of logos. Most are familiar - but some are mysteriously unfamiliar. 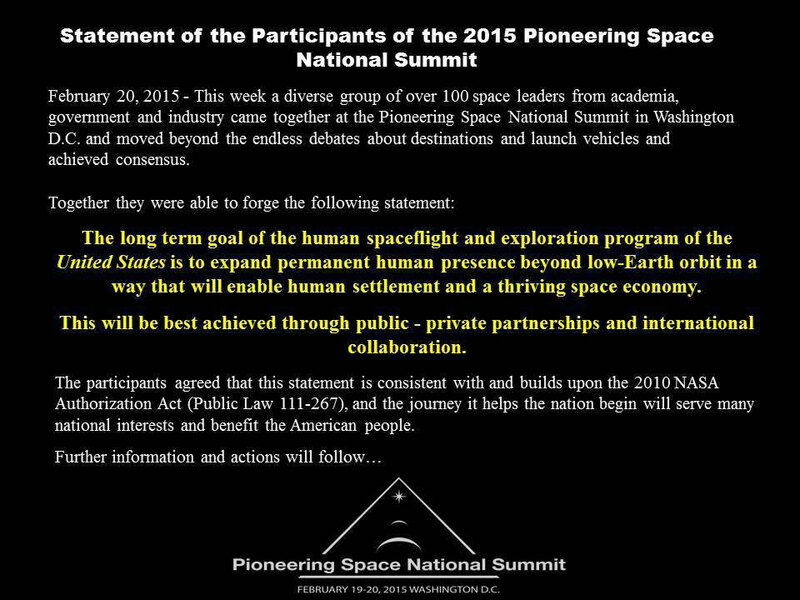 But they then post this: "Disclaimer - These companies and organizations supported the Pioneering Space National Summit at which this statement was drafted and approved. 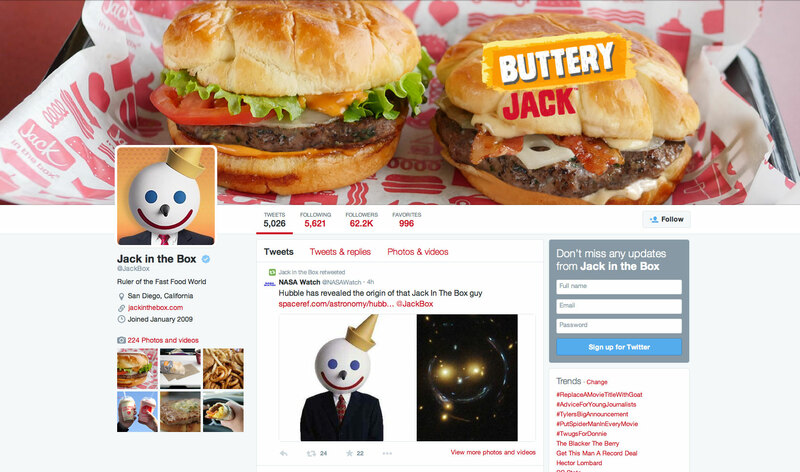 Their appearance here does not infer official endorsement of the declaration. At this time they may or may not be involved in future activities or actions in regard to the declaration." So ... these groups do/do not endorse this declaration - and they "may or may not be involved" in what is happening now or in the future - but we won't tell you - or maybe we will - or maybe we just did. Now THAT is illuminati-speak! They do state that they are "a diverse group of over 100 space leaders" albeit anonymous space leaders - in keeping with the whole illuminati meme. They also want you to give them money via PayPal to yet another mysterious group: the EarthLight Foundation (earthlightfoundation.org) which has no individual names affixed to it either although Tumlinson has mentioned an affiliation with it. As you will see in the comments section below this organization's 501(c)(3) status has been revoked by the IRS. 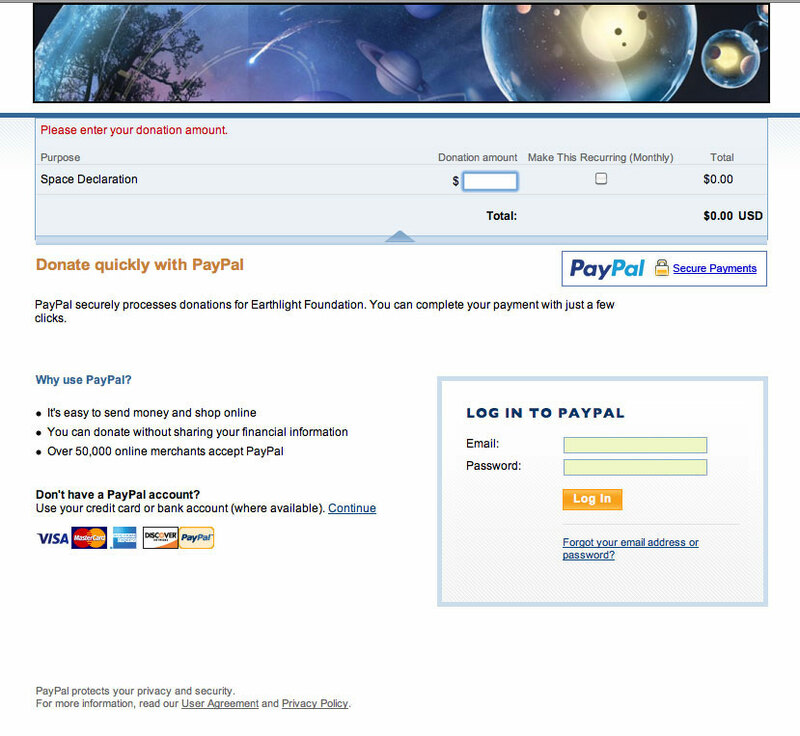 Keith's update: The donation link for the Earthlight Foundation has been removed - this is a screen grab of the page it used to send you to. The week is still young. Will we see more space advocacy organizations popping up? Stay tuned. This is starting to sound like a Dan Brown novel. Keith's update: The Space Frontier Foundation just issued a press release titled "Historic Consensus Achieved at Pioneering Space Summit 2015". "Historic"? Really? How so? Half of the space advocacy community was left out in the cold during this closed session - and no mention is made of planetary and space science in the final summary statement. Baffling. By Keith Cowing on February 23, 2015 9:17 AM. "At press time, the LifeBoat Foundation, The Mars Society, The Mars Foundation, The Space Development Steering Committee, The Space Tourism Society, Students for the Exploration and Development of Space, Students on Capitol Hill, Tea Party in Space, and the Texas Space Alliance have joined the ASD." Keith's note: Truly an alliance of the giants. Yawn. Oddly, I got the SFF release first which said "for immediate release". So I posted it and distributed it. Then, after I did that, the NSS version shows up saying to wait until 25 February to release. Clearly the whole coordination thing is a skill they have yet to master. By Marc Boucher on February 23, 2015 7:53 AM. "There will be two important congressional hearings this week on Commercial Space. First up on Tuesday, February 24th is the U.S. Human Exploration Goals and Commercial Space Competitiveness Senate Subcommittee on Space, Science, and Competitiveness hearing chaired by U.S. Senator Ted Cruz (R-Texas). Next up on Friday, February 27th is the House Subcommittee on Space Hearing; The Commercial Crew Program: Challenges and Opportunities chaired by Lamar Smith (R-Texas). The hearing will take place at 2318 Rayburn House Office Building at 9:00 a.m. EST." Continue reading Commercial Space Hearings This Week. By Keith Cowing on February 22, 2015 4:55 PM. "This week marks the 53rd anniversary of John Glenn's first manned orbital space flight. The Monmouth University Poll finds that most Americans feel the nation's 1960s space program gave us long-lasting benefits and many say increased spending on the space program today would be a good investment. However, less than half the public supports spending billions of dollars specifically to send astronauts back to the moon or to other planets - a program that is currently in the works at NASA. Interestingly, this reluctance is similar to the public mood in the 1960s. A majority of Americans do support private space exploration, though. ... The future of space travel may now lie in private ventures, which most Americans do support." Keith's note: Interesting how this poll of actual regular American citizens shows them to be far less bubbly in their support of NASA's human space flight programs than what the space advocacy crowd would have you think. I am not certain how well the overt "settlement" aspect of Rick Tumlinson's recent closed space summit is going to resonate with popular sentiments when even the precursor missions are not supported by a majority of those polled. However, the commercial space aspect of this poll is interesting as are the societal benefits. Yet no one from Blue Origin, SpaceX, or Virgin Galactic - or the non-space public seems to have had any role in this closed door meeting. Or did they? I guess we'll never know since nothing about this event's participants is being released. The study also notes "Just over 4-in-10 (42%) Americans are in favor of the U.S. government spending billions of dollars to send astronauts to places like the moon, Mars, and asteroids, while half (50%) oppose such an expenditure. There are no partisan differences in this opinion, although men (50%) are more supportive than women (36%) of funding this new program." I wonder what the demographics were for Tumlinson's space summit. If this conclave of the usual suspects followed old habits then the participants would have been overwhelmingly male and middle aged (and older). If people get together with the aim of developing a broad-based policy (on any topic) for the entire country then they should, at a minimum, seek to pay some attention to the demographics of the group of people whom they purport to represent as well as what these people have to say on the topic. Moreover these would-be policy developers should seek to develop a policy that serves the real world interests of the population as a whole - not a policy that only serves the people who happen to be in the room arguing arcane philosophical and self-serving points. If space advocates have all of the impact that they claim to have had over the past several decades then they need to share the blame for the dysfunctional way that this nation's space policy (such that there is one) has been formulated and implemented. If the space advocates shun responsibility for this train weck then they are admitting that they actually have little or no impact after all. Either way, given how screwed up America's space policy is, one would have to come to the conclusion that space advocates are part of the problem - not the solution. Continue reading Recent Space Poll: The Public is Not Always in Synch With Space Advocates. By Keith Cowing on February 21, 2015 6:50 PM. Keith's note: Something has emerged from the Pioneering Space National Summit held last week in Washington DC on Facebook (larger view) The event barred press coverage and did not include a number of space advocacy organizations - including the Planetary Society. The organizers are now playing favorites with some media outlets but not others. At one point, the leader of this activity, Rick Tumlinson, posted the following on his Facebook page: "Keith...please get a life. Then perhaps you wont have to spend your time condemning those lived by others". He then deleted the comment and blocked me from seeing his Facebook page. Oh well. 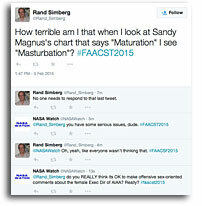 I probably do need to get a life - but this is how the leader of this new space advocacy effort responds to criticism. Not a good sign. Tumlinson and Mary Lynne Dittmar made some additional Facebook postings (below). Note that Dittmar says that attendees are from the "human spaceflight community". The preliminary findings state: "The long term goal of the human spaceflight and exploration program of the United States ..." Apparently the space and planetary science community is not part of their proposed national space policy. Here we go again: yet another fractionated space policy - one derived behind closed doors by a subset of the larger space advocacy community - being touted as a national space policy. Continue reading Pioneering Space National Summit Details Emerge. By Keith Cowing on February 21, 2015 11:13 AM. "Last October's explosion of Orbital ATK Inc's Antares rocket may have been triggered when debris inadvertently left in a fuel tank traveled into the booster's main engine, two people familiar with investigations into the accident told Reuters. The sources said the preliminary findings suggest that a simple assembly mistake by Orbital ATK could have caused the explosion, which destroyed a cargo ship bound for the International Space Station." By Keith Cowing on February 20, 2015 3:21 PM. Keith's note: I just got this from the "Alliance for Space Development - Seminary Road - Alexandria, Va 22311 - USA" today who proclaims: "You're invited! To an announcement of the formation of a new coalition of organizations focused on space development - with special guests Rep. Dana Rohrabacher and Rep. Chaka Fattah. The National Space Society and the Space Frontier Foundation, along with 9 other space organizations, are joining together to create a new strategic alliance for space development and commerce." Yawn. Yet another space group - except there already are several space alliances/coalitions in place that seek to speak about space with one voice (Space Exploration Alliance, Coalition for Space Exploration, Commercial Spaceflight Federation, etc.). So ... is this new thing an alliance of alliances or just another rearrangement of the deck chairs occupied by the usual suspects? The organizations that are excluded from this group are of equal importance to those that are included. Since this latest creation is not totally inclusive will there need to be a higher level of space group alliances that includes everyone who has been omitted (or who belong to rival alliances/coalitions)? Does this have anything to do with Rick Tumlinson's self-indulgent Pioneering Space National Summit held this week in Washington? This is getting to be hopelessly bureaucratized‎. But who cares. Space people just love to announce alliances and initiatives and movements etc. Continue reading Alliance for Space Development: Yawn - Yet Another Space Group. By Marc Boucher on February 20, 2015 9:33 AM. "Space station managers decided Thursday to move the first two spacewalks by NASA's Expedition 42 Commander Barry "Butch" Wilmore and Flight Engineer Terry Virts by one day because of added analysis of spacesuits they will wear." "Extravehicular Activity (EVA) Preparation: The USOS crew members performed final preparations for the upcoming EVAs. Today, they reviewed the detailed EVA timeline, briefing package, and crib sheet then completed final tool configuration." By Marc Boucher on February 19, 2015 12:36 PM. "The Senate U.S. - China Economic and Security Review Commission held a hearing on February 18, 2015 on China's Space and Counterspace Programs. All of the testimony is now available along with the webcast." "Joan Johnson-Freese explained to the U.S.-China Economic and Security Review Commission today why former Rep. Frank Wolf was wrong to effectively ban all U.S.-China bilateral space cooperation. Wolf retired at the end of the last Congress, but his successor as chairman of the House Appropriations subcommittee that funds NASA holds similar views." By Keith Cowing on February 17, 2015 10:43 AM. "Craters and mysterious bright spots are beginning to pop out in the latest images of Ceres from NASA's Dawn spacecraft. These images, taken Feb. 12 at a distance of 52,000 miles (83,000 kilometers) from the dwarf planet, pose intriguing questions for the science team to explore as the spacecraft nears its destination." Move Along. This Is Not The Space Policy You're Looking For. By Keith Cowing on February 13, 2015 9:06 PM. Keith's note: We're only a few days away from the "Pioneering Space National Summit" here in Washington DC - an event only a hundred or so space people will attend. Yet the semi-revealed organizers of this event seem to think that they can come up with a plan for America to lead the way in "Free Space" (whatever that is). As I noted in my rant "Yet Another Plan For Outer Space" last week, this effort is almost certainly doomed to be irrelevant before a single word is even uttered. You see, space people just can't fight the periodic urge to stage these self-indulgent exercises in futility - exercises that matter only to other space people. The real world outside the meeting venue (such that there is a 'real world' here in Washington) will move on as if nothing ever happened. Space people enter any discussion with the default notion that space is important because space is important. There is no alternate answer to them. Space is a niche issue. Pick whatever poll you want. When the 300+ million people who actually pay for all the space stuff are asked what things matter to their daily lives space is at the bottom of a very, very long list. Administrations weigh niche issues like space against these larger popular issues when they exercise their political calculus. Would it not make sense for this space crowd to do the same and factor in a reality quotient by involving voices that have not been drinking the space Koolaid for decades? Of course not. Why be relevant to the real world? Space is important because space people say it is important. You can see this by virtue of who has been invited to this event and who has not (no I am not referring to myself). Its like choir practice in an echo chamber. If you down select the opinions involved in your policy discussion by virtue of including some - but excluding others - you get a more focused end result. But you also get an answer that is lacking far too much in breadth and scope to be taken seriously. Many of the people attending this event are probably showing up for the drinks and snacks. When you see an event like this emerge out of nowhere - with stealthy patrons and funding - you just have to know that agendas are at work behind the scenes. One theme that is circulating among the people who have been invited are window dressing for an apparent push to get everyone to throw their support behind SLS. I wonder how many in attendance know that there are efforts afoot to sculpt this get together into something other than advertised. Oddly, one of the most effective organizations in terms of generating popular support - some of it actually from outside the space wonk world - the Planetary Society - is not listed as participating. Other groups such as AIAA and AAS and the Coalition for Space Exploration were added at the last minute - much to the bewilderment of many who work at these organizations. And who is the intended audience for the eventual output of this event? Continue reading Move Along. This Is Not The Space Policy You're Looking For..
By Keith Cowing on February 12, 2015 12:59 PM. "Today, the Subcommittees on Oversight and Environment held a joint hearing to examine schedule delays to our nation's next generation weather forecasting satellites and the implications of the impending gap in weather data. Witnesses provided an update on operations and development of the National Oceanic and Atmospheric Administration's (NOAA) polar-orbiting (JPSS) and geostationary (GOES) weather satellite programs and discussed recent Government Accountability Office (GAO) reports on the two programs." By Keith Cowing on February 11, 2015 6:32 PM. "The SpaceX Falcon 9 rocket carrying NOAA's Deep Space Climate Observatory spacecraft, or DSCOVR, lifts off from Space Launch Complex 40 at Cape Canaveral Air Force Station in Florida." Keith's update: DSCOVR has been launched and is now in orbit. 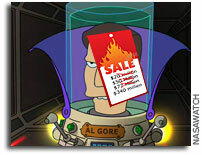 Al Gore's silicon avatar has left the planet after a 17 year wait. By Keith Cowing on February 10, 2015 6:30 PM. "The NASA Authorization Act of 2015 authorizes funding consistent with the Consolidated and Further Appropriations Act of 2015. The bill continues the consistent guidance Congress has given to NASA for nearly a decade by reaffirming a stepping stone approach to exploration." "The House of Representatives today passed H.R. 810, the National Aeronautics and Space Administration Authorization Act of 2015 under suspension of the rules. H.R. 810 authorizes programs and projects at the National Aeronautics and Space Administration for one year and updates NASA funding to be consistent with FY 2015 enacted funding numbers. The bill is essentially identical to H.R. 4412 that passed the House overwhelmingly last year by a vote of 401-2 under suspension of the rules but no action was taken on the bill by the Senate." By Keith Cowing on February 10, 2015 2:51 PM. By Keith Cowing on February 9, 2015 5:49 PM. "Ron Garan used to be an astronaut. Now he helps people in remote African communities obtain fresh drinking water. Yet he still has his head back amongst the stars. How he came to this point is the subject of his book "The Orbital Perspective". While many people who have spent time in space have come back with altered perceptions and equipped with a new perspective of our home planet, few manage to express that change in perspective as well as Garan does. Moreover, even fewer actually take that enhanced perspective and put it into action - again, as Garan does." By Keith Cowing on February 9, 2015 5:25 PM. Keith's note: Have a look at this conference at the International Conference - Space Technologies: Present and Future. It is being held in Dnepropetrovsk, Ukraine - the part of the country where all the fighting is going on. Rebellions and invasions aside, conference sponsorships are still available. The Heinlein Prize/Trust is a sponsor. Curiously they are also a sponsor of the upcoming (and slightly less mysterious) Pioneering Space National Summit in Washington next week. By Keith Cowing on February 9, 2015 11:57 AM. Keith's note: (sigh) its the "Far Side", not the "Dark Side". Don't you people have editors? By Keith Cowing on February 8, 2015 8:00 PM. "Pilot Fitzhugh "Fitz" Fulton Jr., known as the "Dean of Flight Test" for his involvement in pioneering programs including the space shuttle piggyback flights, died Wednesday at home in Thousand Oaks. He was 89.The cause was complications of Parkinson's disease, said his daughter, Ginger Terry. His four-decade career included flying for the military, NASA and Scaled Composites, headed by aviation pioneer Burt Rutan in Mojave." By Keith Cowing on February 7, 2015 4:40 PM. Keith's note: There is a strange conference "Pioneering Space National Summit" scheduled for 19-20 February at the Reagan Trade Center here in Washington DC. Lots of organizations are listed as sponsors. Oddly the agenda lists no speakers and simply talks about working groups that will "discuss" issues. Later, things will (apparently) be prioritized. The website says that this event has "the explicit goal of creating a basic SpaceMap for the United States, and identifying strategic knowledge gaps to be overcome for this nation to successfully open the frontier beyond low Earth orbit to human development and settlement ... For this to happen those involved in all areas of space must move beyond current debates and battles over priorities, goals and participation and come to a basic set of agreements, addressing the reasons we choose to go into space, where in space we want to go and in what order ... etc." Uh huh. Every time there is an Administration change looming space folks get the urge to try things like this. It never works. In the decades I have been around the space community I have never seen a strategy of any strategic value developed in the course of a 2 day free-for-all event open to everyone and anyone. No one agrees on enough things for such a consensus to be developed. And whatever the space folks do manage to produce just gets ignored - if for no other reason than someone was not involved or some group's favorite planet or project is not prominently mentioned. Besides, each new Administration starts more or less from scratch anyway and they want to change NASA's course from what the previous folks did (good or bad). Their policy priorities (or lack thereof) for space are rooted in plans that are focused on themes far more broad than what bounces around inside the heads of space advocates. Oddly, when you go to the registration page it says "This content is password protected. To view it please enter your password below:" Nowhere on this website are you told how to get that password. So ... without the password how can you register? Emails sent to the address listed on the site are ignored. The site has been like this for weeks without this basic detail being fixed. If they cannot allow people to register for this conference I am certain that they are ill-equipped to do all of the more difficult tasks such as herding space people around in working groups and cracking the whip on consensus development. Keith's update: One of our readers discovered that if you go to http://newworldsinstitute.org/ (there is no actual link to this organization from the meeting website to click on) that this is an invitation-only affair. As such you now have a deliberate effort to limit input - and that almost certainly guarantees that there will be space advocates who will be left out in the cold who will promptly denounce/ignore whatever this group puts out. Where is AIAA? AIA? AAS? AAAS? Planetary Society? Mars Society? Space Foundation?, IEEE?, Challenger Center?, ASGSR?, AsMA?, ASE?, American Astronomical Society? After ignoring my previous emails over the past few weeks I just got this response back "Thank you for your interest in the Pioneering Space National Summit. Registration is by invitation only, and is closed at this time." Oh well, I would not invite me either. By Keith Cowing on February 7, 2015 1:47 PM. "When the Triana mission was announced in March 1998, NASA hoped to keep the project's cost close to $20 million and definitely below $50 million. 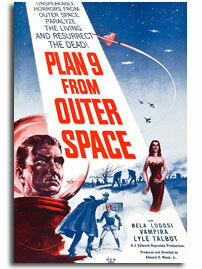 ... NASA did not maintain the original budget goal of $20 to $50 million. Instead, NASA chose to increase the size and complexity of the Triana spacecraft, primarily to augment its scientific capabilities. ... NASA added elements of a Goddard proposal to the Scripps proposal and increased the mission budget by $27 million, to $77 million. NASA officials told us that the increased funding was intended to support increased scientific capabilities. The mission budget has not increased since it was set at $77 million." Keith's note: NASA PAO told me a few minutes ago that the total cost of DSCOVR including its design and construction as "Triana", initial adaptation to Shuttle launch, then ELV launch, storage, instrument changes/upgrades, integration for launch on Falcon 9 and launch on Falcon 9 in 2015 is $340 million. $340 Million is 17 times $20 million, 6.8 times $50 million, and 4.4 times $77 million. So much for Faster-Better-Cheaper no matter how you calculate it. By Keith Cowing on February 7, 2015 11:52 AM. "NASA Television will provide live coverage of a news briefing on the Deep Space Climate Observatory (DSCOVR) mission, the National Oceanic and Atmospheric Administration's (NOAA) new satellite mission to monitor space weather, at 1 p.m. EST Saturday, Feb. 7 from the Press Site at Kennedy Space Center in Florida. The briefing also will stream live on the agency's website." "The Deep Space Climate Observatory (DSCOVR) is scheduled to launch at 6:10 p.m. EST Sunday, Feb. 8 from Space Launch Complex 40 at Cape Canaveral Air Force Station in Florida on a SpaceX Falcon 9 rocket. A backup launch opportunity is available at 6:07 p.m. on Feb. 9, if needed." By Keith Cowing on February 6, 2015 5:31 PM. "Members of the House Science, Space, and Technology Committee today announced details of the NASA Authorization Act of 2015, legislation intended to reaffirm Congress's commitment to NASA as a multi mission agency with programs in science, aeronautics, exploration, and human spaceflight, and make clear that Mars should be NASA's primary goal. The bill will be introduced in the House the week of February 9th. Committee Chairman Lamar Smith (R-Texas) was joined by Ranking Member Eddie Bernice Johnson (D-Texas), Space Subcommittee Chairman Steven Palazzo (R-Miss. ), Space Subcommittee Ranking Member Donna Edwards (D-Md. ), and Space Subcommittee Vice-Chair Mo Brooks (R-Ala.) in praising the bipartisan bill." By Keith Cowing on February 6, 2015 9:42 AM. "Moon Express, Inc. (MoonEx) has announced that it will continue flight tests at Kennedy Space Center using the newest version of its lunar lander test vehicle later this month. The "MTV-1A" vehicle is an advanced version of the MTV-1X lander test vehicle that successfully completed a series of initial flights in December, earning the company a $1M award from the Google Lunar XPRIZE." The Confusing and Troubling Public Face of "NewSpace"
By Keith Cowing on February 6, 2015 9:15 AM. Keith's note: There are a surprising number of people associated with the so-called "NewSpace" crowd who do not seem to find this sort of reprehensible public behavior on Twitter (see screen grab below) by a semi-prominent blogger/pundit/supporter of their ilk (one regularly accredited as news media) as evidenced at the FAA CST conference this week in Washington, DC - to be in any way objectionable. 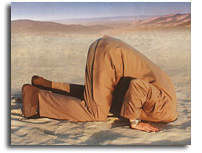 Newsflash: Don't be surprised when no one cares what you think. I have had to block several profane comments. There are a number of comments that condone these comments because they are funny (in their minds). These responses are almost as troubling as the original Twitter post and speak to some strange opinions as to what is considered to be appropriate public behavior. Yet another troubling aspect of some of the adherents of the NewSpace meme. Grow up guys. Image with Twitter comments after the link. Continue reading The Confusing and Troubling Public Face of "NewSpace" . By Keith Cowing on February 5, 2015 4:46 PM. "The delay is tied to carrying out the omnibus federal spending bill's $20 million appropriation for NASA to ensure that the money goes to repair of the spaceport, which operates at the national space agency's Wallops Island Flight Facility on Virginia's Eastern Shore. "NASA is fully aware of the intent of the $20 million they didn't expect to get, but they got," said Kevin Hall, spokesman for Sen. Mark R. Warner, D-Va., who worked with Sen. Timothy M. Kaine, D-Va.; Sen. Barbara Mikulski, D-Md. ; and members of both states' congressional delegations to secure the funding. Hall said his office is investigating the reason for the delay but is "trying to help the state navigate this process." "Government and business leaders in the region are looking for more growth in the future after a string of successes the past two years at NASA Wallops Flight Facility, and despite one major setback the explosion shortly after liftoff in October of a rocket carrying supplies to the International Space Station on Orbital Sciences Corporation's third commercial cargo mission under a NASA contract." "Encouraging the National Aeronautics and Space Administration to conduct an environmental impact study related to landing commercial booster rockets and spacecraft at NASA's Wallops Flight Facility." By Marc Boucher on February 5, 2015 10:27 AM. "Automated Transfer Vehicle (ATV)-5 Status: Yesterday, ATV experienced a failure with Battery Power Chain #4. ATV ground teams have confirmed the failure is real and not a sensor issue. The ground teams have taken the necessary precautions and are continuing their investigation. The vehicle has a total of four power chains. Should a second power chain failure occur, an expedited undocking would be required within 24 hours per ATV Flight Rules. Break Up Camera (BUC) and Reentry Breakup Recorder (REBR) are currently scheduled to be installed inside ATV next week with a nominal undocking occurring on Saturday, February 14th." Marc's note: This is not a significant issue at this time from the limited information available. Perhaps the 11:00 am. scheduled Space Station Live update will provide an update. Marc's update: During today's Space Station Live the issue was mentioned with no new information. At this point everything is on track for the Saturday, February 14th undocking. By Keith Cowing on February 4, 2015 7:56 AM. By Keith Cowing on February 3, 2015 10:59 AM. "The United States government has taken a new, though preliminary, step to encourage commercial development of the moon. According to documents obtained by Reuters, U.S. companies can stake claims to lunar territory through an existing licensing process for space launches. The Federal Aviation Administration, in a previously undisclosed late-December letter to Bigelow Aerospace, said the agency intends to "leverage the FAA's existing launch licensing authority to encourage private sector investments in space systems by ensuring that commercial activities can be conducted on a non-interference basis." By Keith Cowing on February 3, 2015 12:02 AM. "At NASA, we are excited to announce the roll-out of the Physical Science Informatics (PSI) data repository for physical science experiments performed on the International Space Station (ISS). The PSI system is now accessible and open to the public. This will be a resource for researchers to data mine the PSI system and expand upon the valuable research performed on the ISS using it as a research tool to further science, while also fulfilling the President's Open Data Policy. Since 2001, microgravity experiments have been conducted on ISS in the physical sciences and have yielded rich results, some unexpected and most would not be observed in Earth-based labs. These results provided valuable insights into fundamental physical behavior that can apply to both terrestrial and space environments. Collecting this data in a single location not only provides scientists with scientific data from hundreds of NASA experiments, it also helps identify fields where more study is needed." Then there's this research announced yesterday by FASEB "How Spaceflight Ages the Immune System Prematurely". Do NASA or CASIS mention this paper? No. Oddly NASA and CASIS like to jump up and down and tell you about all of the amazing research they want to do on the ISS to solve all of humanity's problems. Spaceline will mention this paper in their weekly summary - but NASA and CASIS ignore Spaceline. In yesterday's budget briefing NASA mentioned how they want to ramp up ISS utilization in the coming years. Of course this is a good idea since the potential of this amazing facility has yet to be tapped. Alas, given the way that NASA and CASIS handle the dissemination of research results this will simply mean that more important and interesting research will be ignored. This is Why People Think NASA is Adrift, Charlie. By Keith Cowing on February 2, 2015 5:47 PM. "In June, NASA finished work on a huge construction project here in Mississippi: a $349 million laboratory tower, designed to test a new rocket engine in a chamber that mimicked the vacuum of space. Then, NASA did something odd. As soon as the work was done, it shut the tower down. The project was officially "mothballed" closed up and left empty without ever being used." Keith's note: Under the FY 2016 budget Mars Opportunity shuts down in FY 2016 and Mars Odyssey shuts down in FY 2017. Both spacecraft still work. Funny how NASA, Congress, and the White House can spend hundreds of millions on an engine and test stand facilities that will not be used - but keeping still-useful Mars probes operational for a few million is not possible? Where is the logic in that? The "State of NASA" is confused - and adrift - if this is what passes for a good space policy. Keith's update: According to Dave Radzanowski NASA is looking to zero out LRO, Opportunity, Odyssey etc. in FY 2016 BUT that this happened last year as well and NASA looked at the missions and eventually found the money to keep them going. That said, its a little bit like Charlie Brown and Lucy and the football. They do this every year with small missions. Everyone screams, they find the money, and nothing gets cancelled. You have to wonder why they do this in the first place since they already know that they will fund these missions. Again, this speaks to a lack of strategic thought - the sort of thing you'd expect within an agency that is adrift. By Keith Cowing on February 2, 2015 3:55 PM. "Nissan Motor Co., through its North American-based organization, and NASA today announced the formation of a five-year research and development partnership to advance autonomous vehicle systems and prepare for commercial application of the technology." By Keith Cowing on February 2, 2015 2:00 PM. "The President's FY 2016 Budget provides $18.5 billion in discretionary funding for the National Aeronautics and Space Administration (NASA) to extend humanity's reach in space and strengthen America's leadership here on Earth." By Keith Cowing on February 2, 2015 1:56 PM. Bolden "we are not trying to save the planet or pretending that this mission will do anything to protect the planet"
This page is an archive of entries from February 2015 listed from newest to oldest. January 2015 is the previous archive. March 2015 is the next archive.